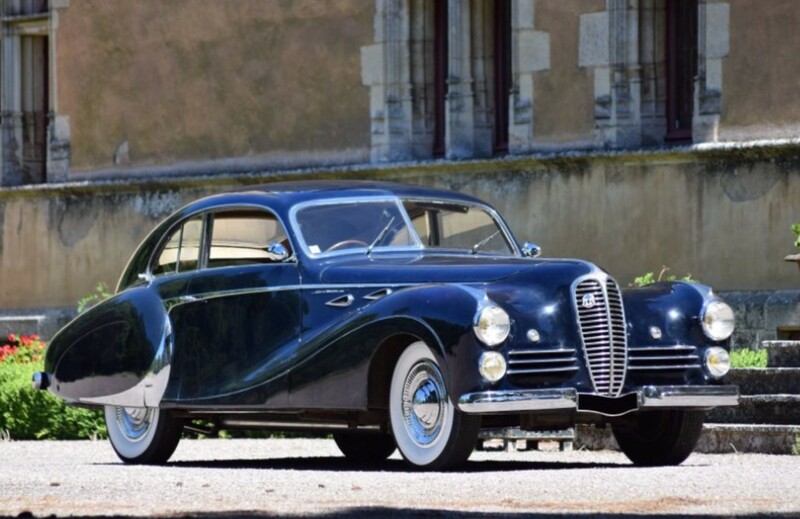 The Delahaye 135 was the first model in a series of cars that would be built from 1935 through 1954 (with some time off for the War, of course). The 135 would be offered in a few different forms, but the Competition Court was the top-of-the-line model. The engine in this car is a 3.8-liter straight-six, which is not original to this car (it would’ve had a 3.5-liter unit when new). It rides on a Competition chassis (which was sort of discovered by its most recent owner when the car was restored). 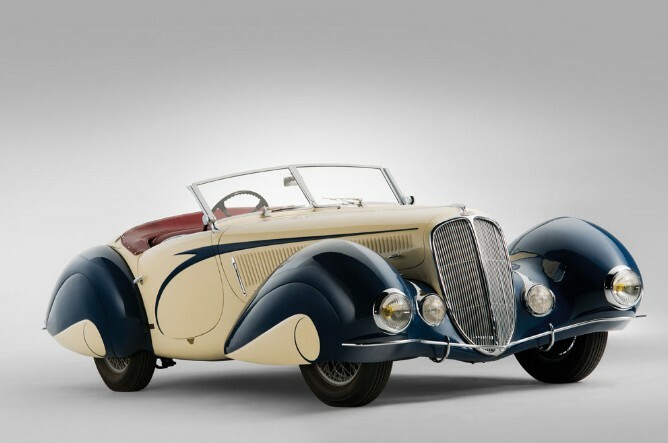 It originally featured a Faux-Cabriolet by Figoni et Falaschi, but it was converted to a full cabriolet by the same guy who swapped the engine – but the design stays true to the original. This is one of six 135 Competition Court cars that originally sported a Figoni coupe body (here’s another). It’s a beautiful car with a good story (like how it was hidden from the Nazis) and it should bring between $1,275,000-$1,900,000. Click here for more from this sale. The 135M was built on both sides of World War II and it was basically a standard 135 with a better engine. In this case, that engine is a 3.5-liter straight-six, which, depending on carburetor setup, put out 90, 105, or 115 horsepower. This car is a 115 horsepower variant. This example was one of two ordered new from Chapron by a man from Algeria and its early history is not known. It reappeared in Luxembourg sometime before 1986 and passed between owners before being liquidated as part of Evert Louwman’s purchase of the Rosso Bianco collection. Presented as an all-original car with “refreshed paintwork,” this car should sell in the neighborhood of $425,000-$635,000. Click here for more info. 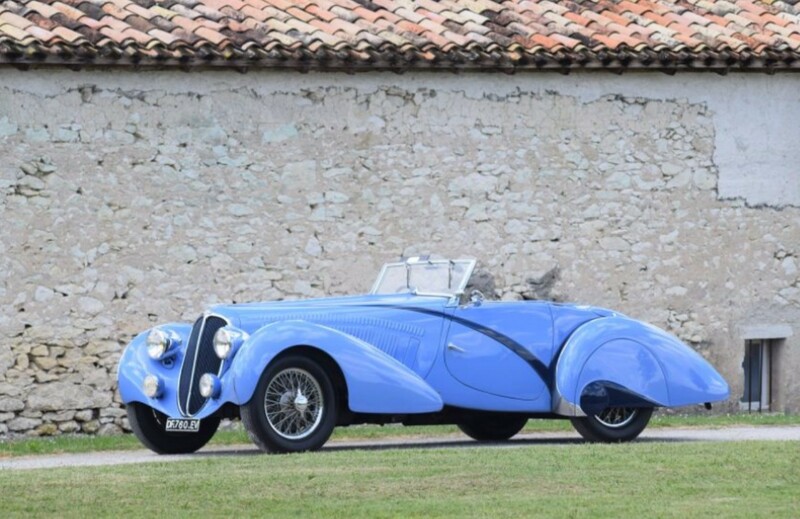 If you didn’t guess it, the Delahaye 135MS was a step up from the 135M. In this case the engine is a 3.6-liter straight-six putting out 160 horsepower. This numbers matching car (body, engine, chassis) was bodied by Figoni & Falaschi in the a highly desirable cabriolet style. It was originally ordered and owned by a famous French singer and stayed in her family until the late 1940s. The body was modified around 1950 when it was used in a film. Fortunately, the current owner (who has had the car since 2012) restored the car to its original glory, winning two awards at Pebble Beach as a result. This beauty should bring between $1,275,000-$1,700,000. Click here for more info. 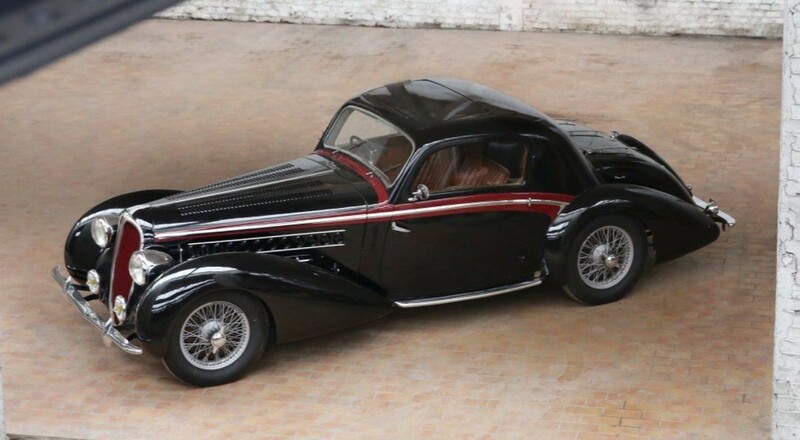 The Delahaye 148 was a long-wheelbase version of the 135M. It wasn’t as sporty, but that doesn’t mean they still didn’t garner incredibly crafted bodies from France’s finest coachbuilders. Because it is a derivative of the 135M, the 148 is powered by a 3.5-liter straight-six. Power depended on the number of carburetors and this is likely a 115 horsepower car. Saoutchik built some of the most exotic bodies for old cars and this windswept two-door fastback fits right in with what they’re known for – in fact, it was shown on their stand at the 1950 Paris Motor Show. The current owner has had it since 1970 and while he kept it in running order, he drove it sparingly. It shows just less than 19,000 original miles. It’s all-original and should bring between $750,000-$1,050,000. Click here for more info. With the 135M spanning both sides of the second World War, you see designs that vary pretty wildly between early and late cars – especially since each of them were bodied by a professional coachbuilder. In this case, it is Carrossier Louis Dubos of Neuilly-sur-Seine, France. It’s powered by a 3.6-liter straight-six. Remarkably, this car has been owned by the same family since 1959. The restoration dates to the latter half of the 1990s, and has been driven only a few times since 2000, thus will require a thorough inspection before being declared roadworthy. The other four Delahayes we featured are all quite pricey, but this attractive and usable example will likely sell for between $75,000-$105,000. Click here for more info and here for the rest of Artcurial’s auction lineup. There are cars that serious collectors must have. This is one of those cars. 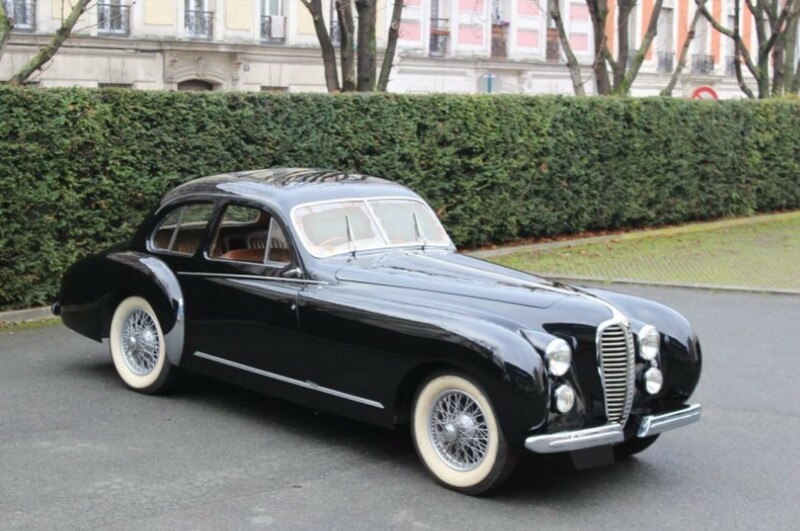 Figoni et Falaschi-bodied cars are some of the most desirable coachbuilt cars in the world. And the Delahaye Torpedo Roadster is one of their most iconic designs. It’s the teardrop bodystyle combined with open air motoring. It is Paris in the 1930s. 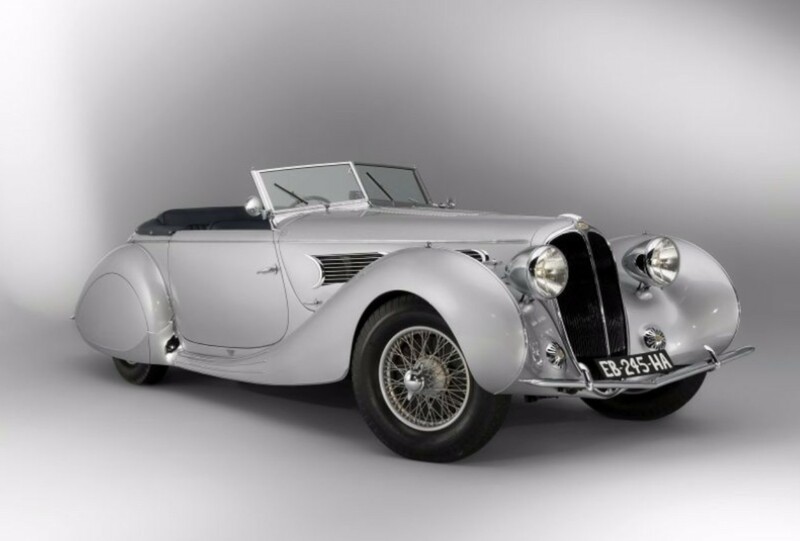 The Delahaye 135 was introduced in 1935 and it uses a 3.6-liter straight-six making 95 horsepower. 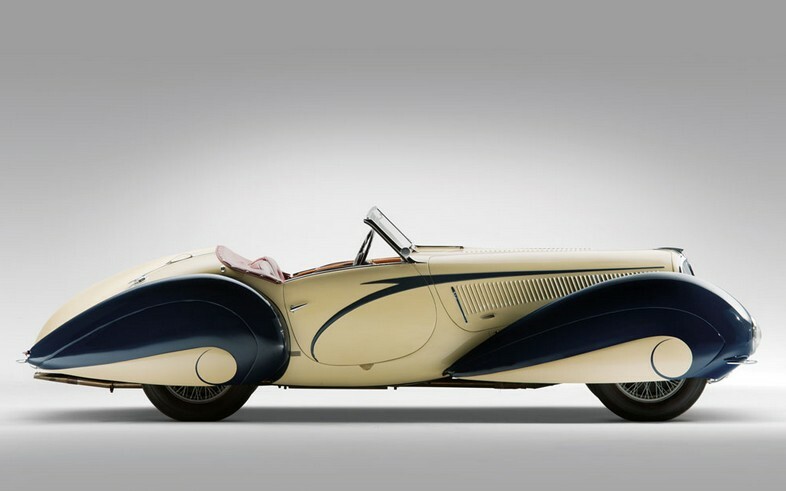 The Competition Court version of the 135 was the top-of-the-line model and this chassis was shipped to Figoni et Falaschi to receive this body for Delahaye, who showed the car at least once before selling it. This car arrived in New York in 1939 and has been in American ownership since. The engine was actually replaced in 1939 and painted red at some point. In 1970 it was freshened and repainted its original colors – the ones you see here. It’s been with the same owner for 50 years so this is the first time this car has come up for public sale in a long time.